Photographer’s Backpack is built for adventure. 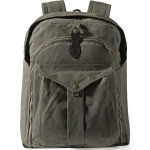 Fusing understated design and quality canvas construction, it blends into both city and country surroundings with ease. The customisable main compartment holds a DSLR, 4 lenses and flash, whilst a spacious top compartment has a 17” laptop slot. 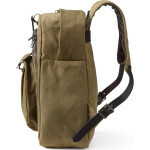 With a further front pocket for accessories, this bag is ideal for photographers who are always on the move. 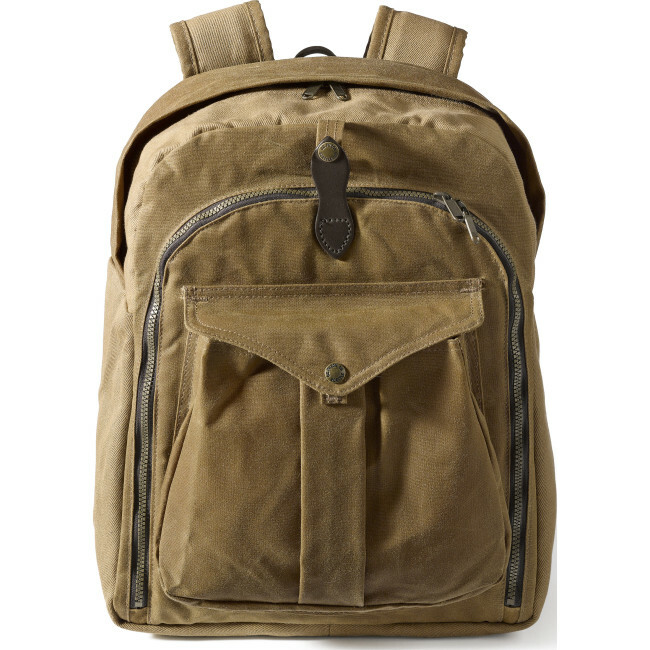 Designed for comfort, Photographer’s Backpack sits snuggly on the shoulders, complete with stylish adjustable leather straps. Securely store your camera and equipment in the padded camera compartment, with removable touch-fastened dividers and accessible zipped closure. 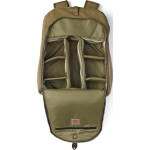 The snap-closure pouch on the front is perfect for accessories and essentials that you want to keep handy on the move. Made from oil-finished tin cloth and rugged twill, this traditional canvas bag is tough, hardwearing and resistant to showers. A concealed zip provides access to the top compartment, accommodating a laptop of up to 17” with additional space for personal items. 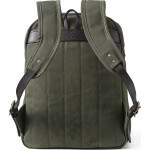 Photographer’s Backpack brings together the rugged design and unwavering commitment to quality for which Filson has long been renowned. 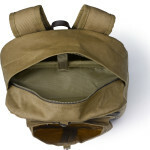 A functional and customisable canvas bag, it’s an understated companion for everyday use. The 7-slot interior has touch-fastened dividers to arrange your DSLR, lenses, flash and accessories, with zipped closure for easy loading. 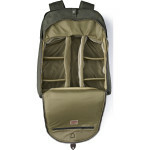 A roomy top compartment has a dedicated laptop sleeve and additional space for personal items, whilst a snap-closure bellows pocket on the front offers convenient access to your daily essentials. 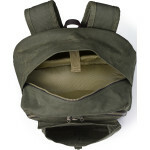 Wool-lined shoulder straps take the strain off carrying your gear, with a top grip handle and padding throughout. 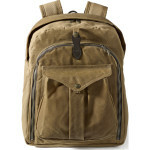 Made from oil-finished tin cloth and rugged twill, this water-resistant canvas bag goes the distance for photographers who embrace the great outdoors. 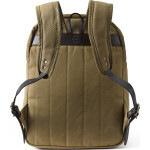 Like all Filson products, Photographer’s Backpack is protected by the company’s lifetime guarantee, to give you peace of mind when purchasing your camera bag. Maintain its appearance by brushing or gentle wiping away excess dirt with a clean, damp cloth. Do not machine wash.
Filson was established to equip the Gold Rush pioneers with quality, robust and comfortable outdoor wear during the 19th century. It is this context of North American adventure that continues to set the benchmark for the styling and purpose of Filson products. 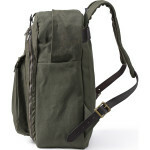 Today, this esteemed brand has become renowned for its range of high quality camera bags.